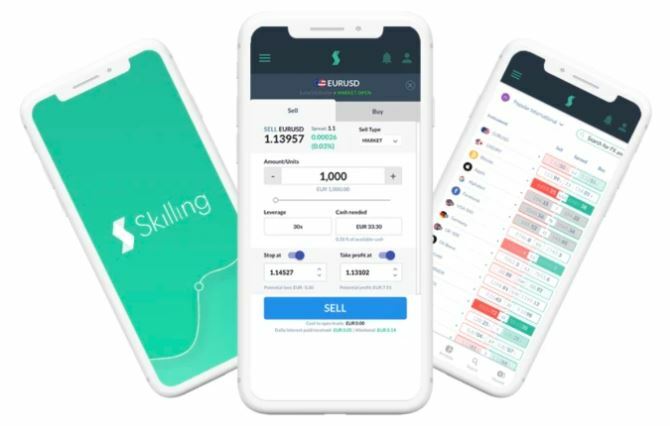 Skilling is a trading platform that offers CFD trading on instruments from markets around the world. The company’s mission is to make trading simple, accessible and transparent, ensuring that anybody who wants to trade feels confident and secure. Forex, Cryptos, Indices, Stocks and Commodities can all be traded on a platform designed to be both user-friendly for beginners and intuitive for experienced traders. The Skilling group of companies includes a multinational workforce of over 35 employees from all over Europe. An extremely talented team of developers, marketers and specialists work together from offices located in Cyprus (CIF), Malta and Spain. Investors behind the initiative include Optimizer Invest, founded in 2012 by Henrik Persson, Mikael Riese Harstad and André Lavold.